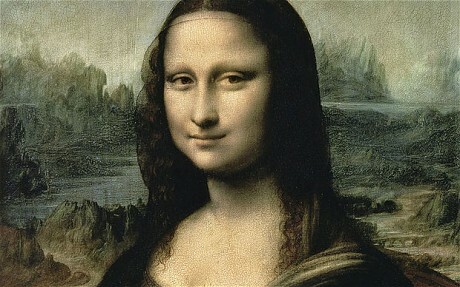 Archaeologists on Wednesday (May 11, 2011) began digging for the remains of a 16th-century woman believed to be the model for Leonardo Da Vinci’s Mona Lisa in a bid to unlock an art world mystery. The team of historians say they will try to find the remains using geo-radar equipment and then try to re-create a likeness of what the woman, Lisa Gherardini, would have looked like to compare her to the painting. “We want to find the skull and make a portrait of the Mona Lisa,” said Stefania Romano, a spokeswoman for the group behind the excavation under way in the halls of a former mediaeval convent in the heart of Florence. Romano said the team’s radar had shown there could be burials dating back to Gherardini’s time as little as two metres (6.5 feet) below the surface in what had been part of a cloister of the Sant’Orsola convent. DNA experts on the team will test any remains that are found and compare the results with the DNA of Gherardini’s descendants, she said. The excavation has already sparked controversy, with a local princess who claims kinship with Gherardini saying the remains should be left in peace. “It’s not possible” Let her rest in peace! What would finding the remains change compared to the fascination of Leonardo’s painting,” Natalia Strozzi, who is also an actress and a local vintner, told reporters ahead of the dig. “Wanting to find the bones seems sacrilegious and inopportune,” she said. Gherardini (1479-1542), also known by her married name as Lisa del Giocondo was the wife of a Florentine silk merchant and is widely believed to have been the model for the famous portrait that now hangs in the Louvre in Paris. But the issue has never been settled definitively and mystery still shrouds the model’s enigmatic expression and other details of the portrait. Romano said Gherardini’s tomb would be preserved as a tourist attraction if it were found and the results of the inquiry would be displayed in Florence.